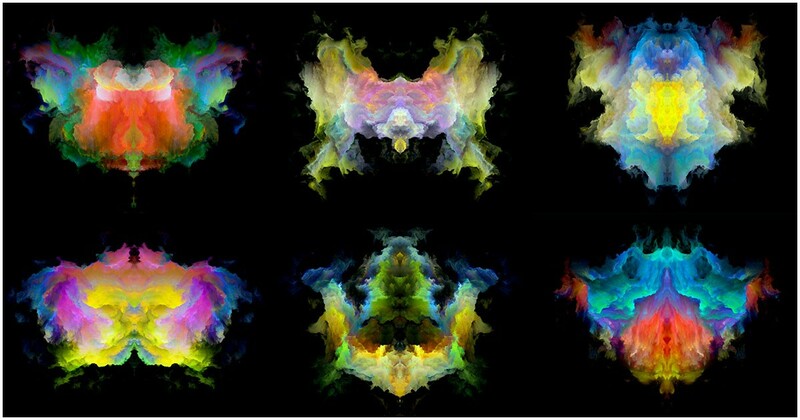 Pick The Ink Blot That Resembles A Face & Reveal Your Truth. Psychologists, counsellors, and researchers all agree that that this fast and simple personality test is incredibly insightful and helpful. All you do is pick the inkblot that resembles a face to you, and the test will accurately analyze your ingrained traits. You’re going to find out a lot of things you didn’t realize about yourself BUT once you think about them you’ll notice that you possess these characteristics! Don’t overthink it, just go with your gut! Which pic calls to you? ● You are: realistic, well-balanced, and enjoy others’ company. 1) You prefer the familiar to the unknown ideal, and you would rather pursue a simple and ordinary love story to drama. 2) You approach everything from a realistic point of view, so you make people around you feel very down-to-earth and at ease. 3) You are perceived as a warmhearted, interpersonally friendly individual. 4) You dislike the flashy and the cliche, so you dress yourself in a neat, practical, and classy manner. ● You are: a pragmatic and self-satisfactory professional. 1) You believe in yourself the most, and you believe in hard work rather than luck. 2) You solve any task in a realistic yet simple manner. 3) You are very resolute in your determination, so others think of you as someone who is very sure of themselves. 4) You’re not satisfied until you finally realize your vision. ● You are: prudent, gentle, and like harmony. 1) You are carefree yet thoughtful. 2) You make friends easily. You enjoy your freedom while also maintaining your privacy. 3) At times, you seriously ponder the meaning of life, but you mostly just enjoy life itself. 4) You hide in your own happy place to relax, but this doesn’t mean you’re a loner. ● You are: optimistic, cheerful, and like to play. 1) You like to live freely and spontaneously. 2) You try to enjoy life as much as you can — #YOLO is your life motto. 3) You are very curious so you’re open to new experiences. You can’t stand being bored. ● You are: romantic, sentimental, and a dreamer. 1) You are very much in touch with your feelings and emotions. 2) Rationality and coldness don’t appeal to you much. You act according to how you feel. 3) You greatly value keeping your life’s focus on achieving your dreams and goals. ● You are: analytical, trustworthy, and self-satisfactory. 1) Your sensitivity indicates that you are pursuing something worthwhile. 2) You act according to your own unique values and attitudes. 3) You don’t care for whimsical trends, and you have your own unique and elegant mannerisms. 4) You form opinions of others by assessing how cultured they are. SHARE THIS NOW to show the world what you’re really like AND to see if your friends agree with the test’s findings AND so they can take it too… don’t you want to see which ink blot they’ll choose? !